Quick Read : Birdie is a beautiful & fast Twitter client. It’s 2.0 is in public beta !! Which can also work with Debian based distros. Twitter is a Nice social platform to get started with. For accessing twitter sometimes we need a client softwares for Instant access. There are so many available. But it is quiet awesome. Yesterday this app gotta new update of 2.0 beta. 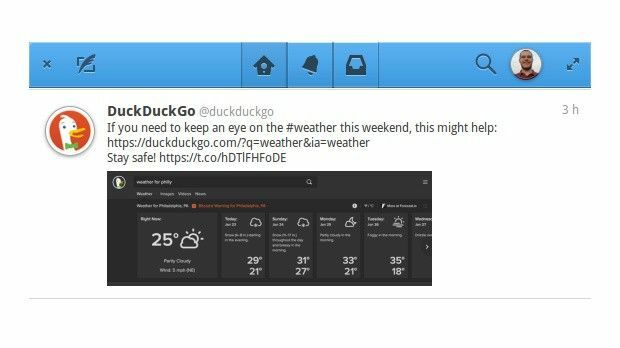 Ivo and Vasco Nunes started this project in 2013 to bring a great native Twitter experience to the new elementary desktop. Thanks to their hard work, and the work of many other contributors, plus some great initial design work from incredibly talented people (including Daniel Foré), Birdie saw its first release back in March 2013. Under Ivo’s direction, the release was a great success and was followed by several incremental updates in the 1.0 series. In the spring of 2015, Ivo announced that Birdie was going to be abandoned unless a developer would be willing to take over the project. Nathan Dyer, the developer of another popular elementary app, jumped at the opportunity, and will be working hard to craft the future of Birdie.